Modern and functional. The Madelyn Collection storage bench by Sandy Wilson Home offers a clean tailored look and constructed with premium quality materials. The hinged lid opens to reveal ample storage space for your winter comforter, pillows, or anything else you may want put away. This storage bench can withstand daily and frequent use thanks to its sturdy frame made from solid birch and 11-layer plywood upholstered in premium durable fabric and high quality foam padding. Holding everything up are 4 ultra strong iron legs finished in Polished Zinc with glides to protect your flooring. Versatile enough to be placed in the bedroom, entryway, or hallway, the Madelyn storage bench is one you will want in every room. 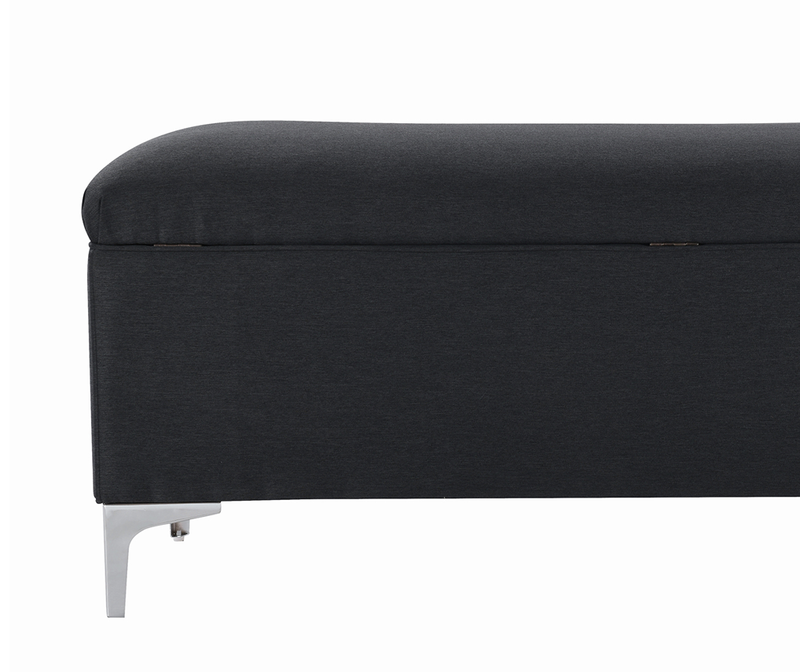 Have storage space and style with this versatile bench. Both modern and functional, the hinged lid opens to reveal ample storage space for your winter comforter, pillows, or anything else you may want put away. It has all-metal legs finished in Polished Zinc with gliders making it able to withstand anything. 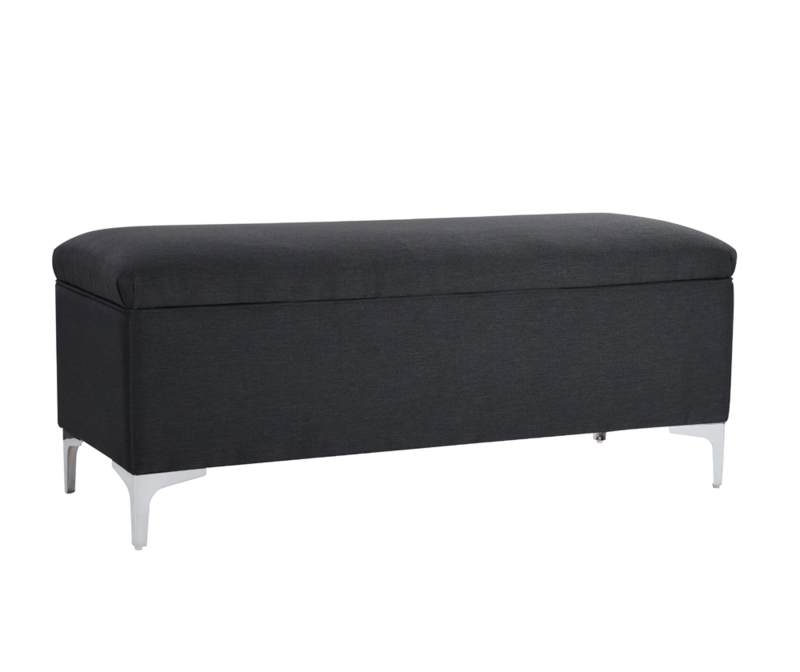 Add a charming touch to your home with the Serena storage bench. Masterfully handmade by experienced furniture craftsmen and women, this bench will be the perfect addition to your home. Comes in a variety of four colors to choose from.